Unprecedented in Canadian history, Statistics Canada projects that by the year 2015, Canadians aged 65 and over will become more numerous than children under age 15. It also predicts that by 2031 there will be approximately 9 million seniors and they will account for 25% of the total population. These demographic changes present opportunities for various areas of the economy. Ontario’s agriculture and food sectors have a unique opportunity to address the needs of the growing aging population through innovation and commercialization of products and services that will not only appeal to older adults, but benefit them nutritionally and functionally. Healthy eating is integral to healthy aging — it provides essential energy and nutrients for general well-being, the maintenance of health and functional autonomy, and a reduced risk for chronic diseases. 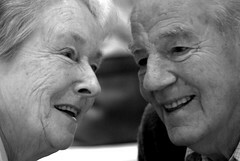 Older adults have unique nutrition and energy requirements. They need fewer calories, but more nutrients to promote and protect health, contribute to independence, and quality of life. So, what kind of products are already out there to address these needs? Not many. If you’ve ever walked through the grocery store looking for products being directly marketed to older adults, you will know that there aren’t many beyond the high-calorie shakes and high-fibre cereals. Lots of the functional foods on the market do have potential benefit to all age groups, but there are very few marketed to promote “healthy aging”. Marketing is just one area of opportunity for food manufacturers. Packaging, portion-size, sensory properties and preventive capacity are all areas that need attention. To help spread the word of the changing needs of older consumers, the Agri-food for Healthy Aging (A-HA) initiative and the Guelph Food Technology Centre (GFTC) are hosting an innovation breakfast on October 28 in Guelph highlighting research being conducted in this area and to highlight opportunities for the food industry and to increase interest in related research. A few members of GFTC’s FANbaseTM Ontario (a provincial functional food and natural health product sector initiative) will be donating products to round out the morning’s breakfast. For example, Mom’s Healthy Secrets cereal will be served with DHA omega-3 milk provided by the Dairy Farmers of Ontario and Just Juice will be provided by Puresource Inc. These products are great examples of foods that promote healthy aging by providing physiological benefit beyond basic nutrition.